Unlike me, rif and his mother have this innate ability to find their way around KL. It’s as though they are born with a map in their heads. 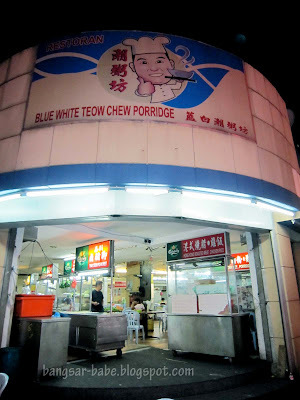 Just last weekend, his mother took us to this food court below a restaurant called “Blue White Teochew Porridge” in Bukit Bintang (opposite Fahrenheit 88 & Starhill Gallery). 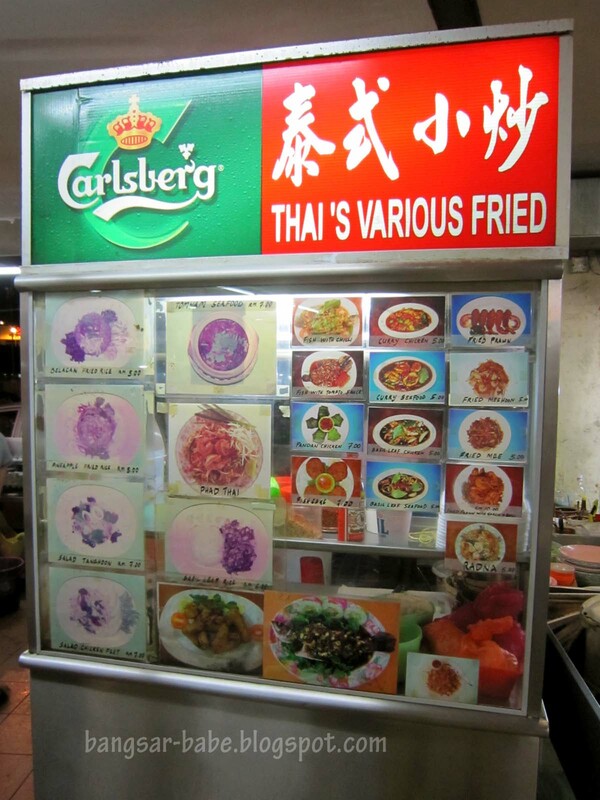 We were there for the Thai stewed pork leg, but unfortunately, the stall wasn’t open. Hungry, we decided to try the Thai food from the stall next door. The uncle was very friendly, but the food wasn’t good. 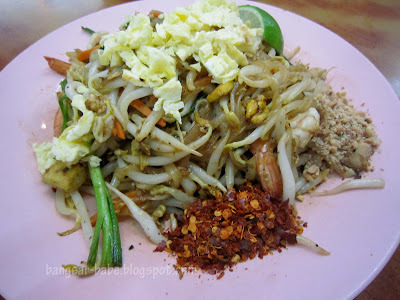 Pad Thai (RM5) lacked wok hei and I reckon he went overboard with the sugar. Portion was generous, but that’s about it. For RM5, the basil leaf chicken was a generous portion. Taste wise, it was nothing to shout about. 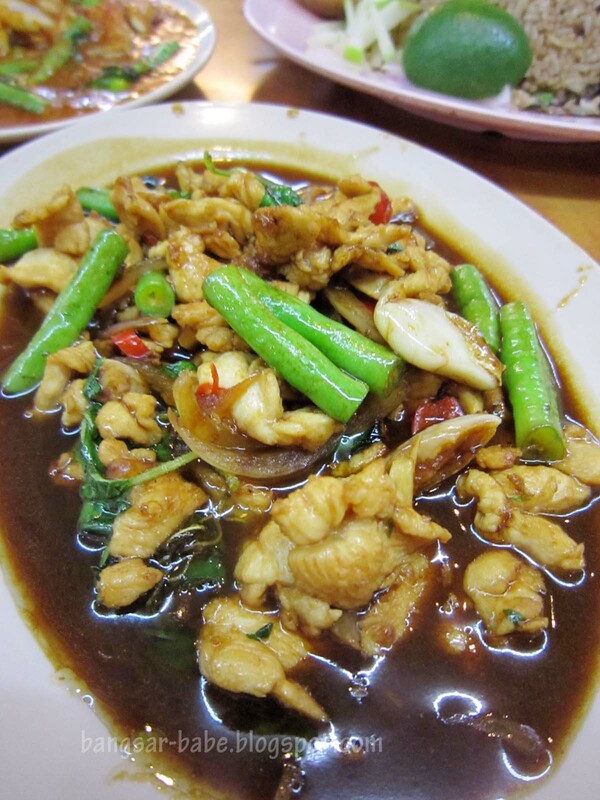 The gravy was insipid and didn’t give much flavour to the chicken. 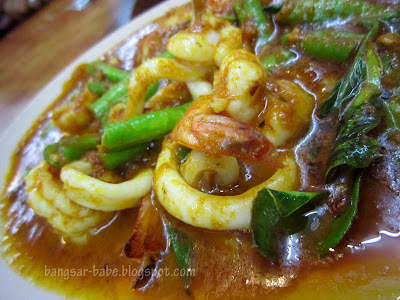 A serving of curry seafood cost RM5, so I expected little seafood in the dish. 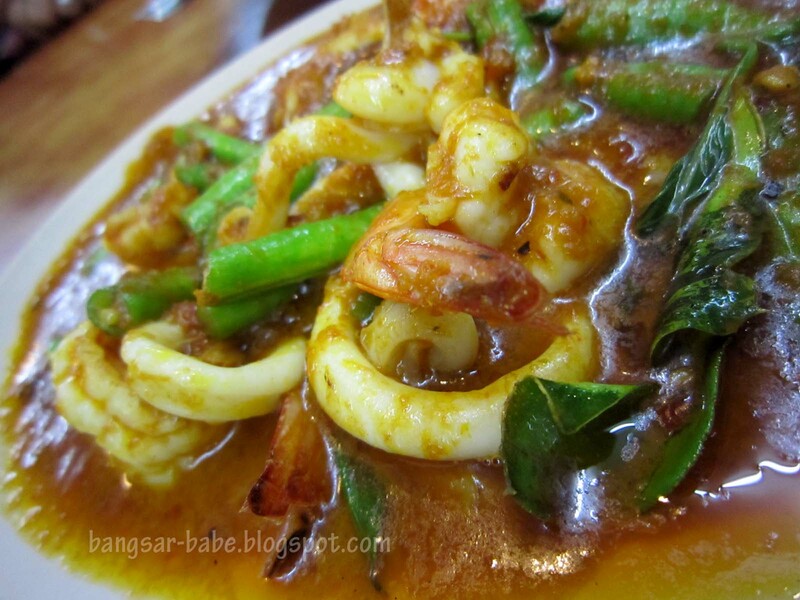 But I was pleasantly surprised to see 6-7 squid rings and 5 mid-size prawns swimming in the thick curry gravy — I felt bad for not liking the food. The curry was spicier than I liked it to be, but to be fair, it was decent. 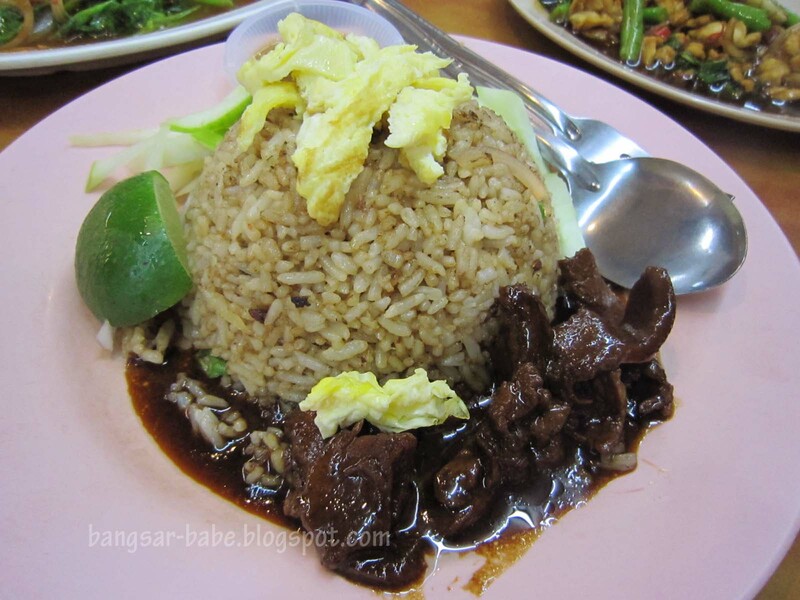 If I’m not mistaken, this was fried rice with basil leaf beef (RM5). The rice was adequately fried, but the meat was too salty. 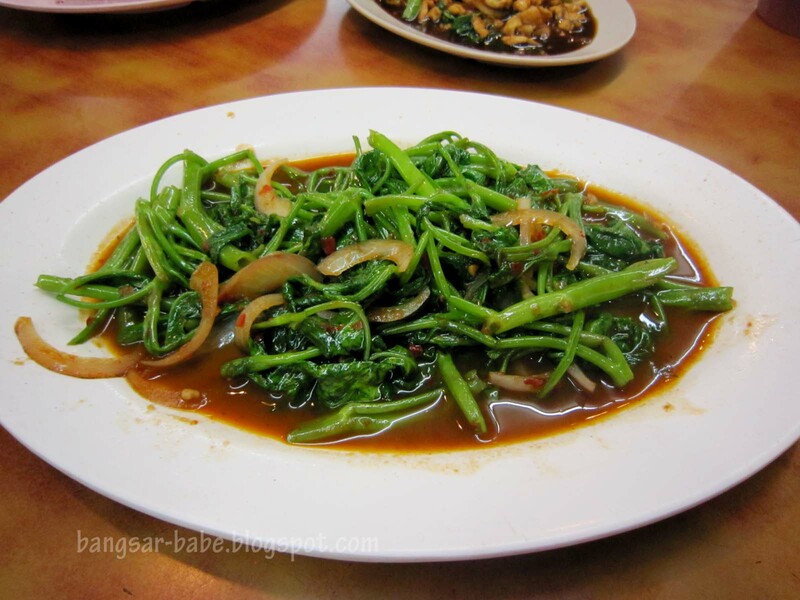 Kangkung belacan (RM5) was standard; it’s hard to go wrong with this dish. 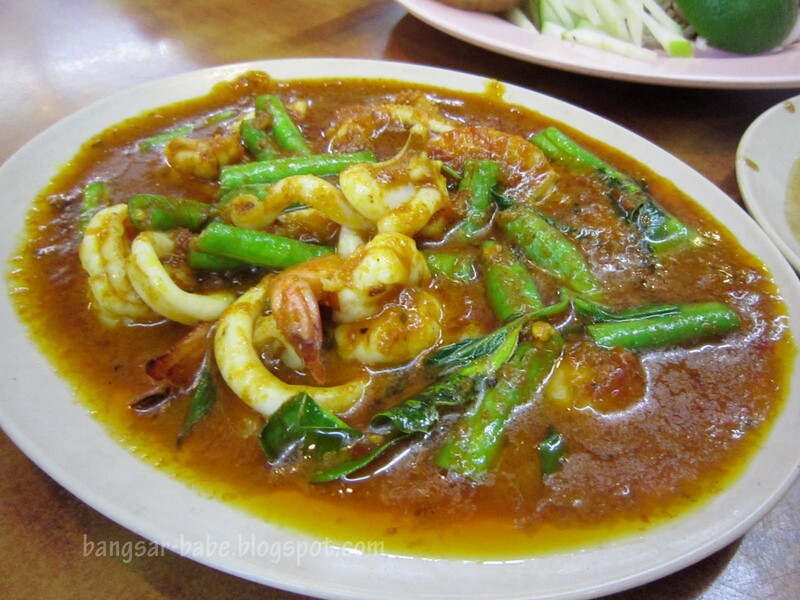 The best dish that night was the tomyam seafood (RM7 – small, RM10 – large). Coconut milk was added into the soup, so it was creamy and rich in flavour; I liked this. 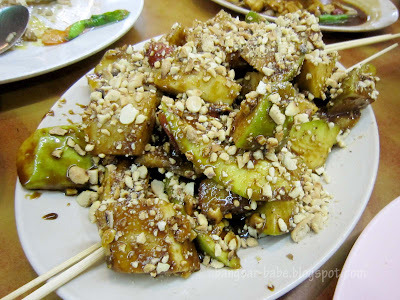 We ordered a rojak buah from another stall. I thought the prawn paste lacked aroma and ‘oomph’, so I didn’t care much for this. Despite the generous portion, dinner was rather mediocre. 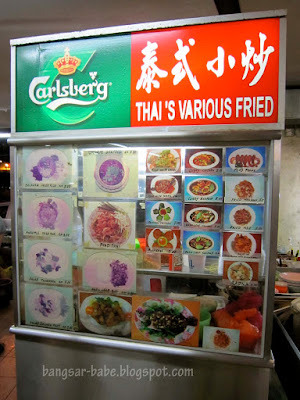 I doubt I will eat here again, unless we’re going for our initial plan – to eat the Thai stewed pork leg. Verdict: Generous portions, but so-so food. 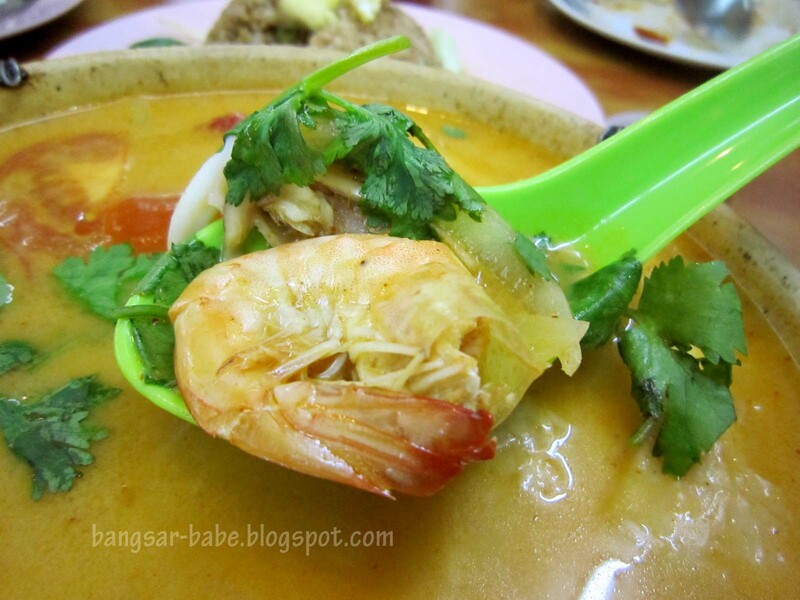 Wow, the Tom Yum's so thick it's almost a curry! 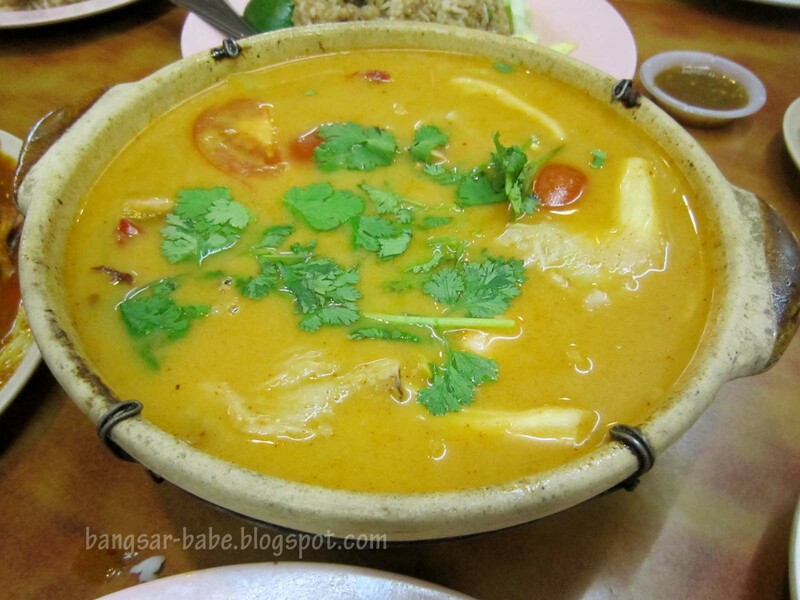 leo – Don't have to bother trying the food, UNLESS you're around the area and there's nothing cheap to eat. KY – How's the food from other stalls? Any good? 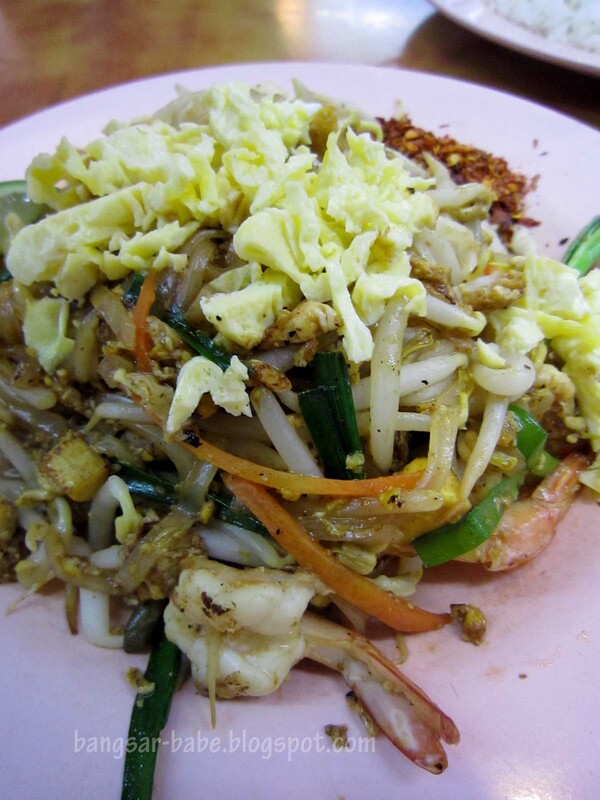 Sean – Yeah, RM5 is quite cheap for a Pad Thai with so much "liu". 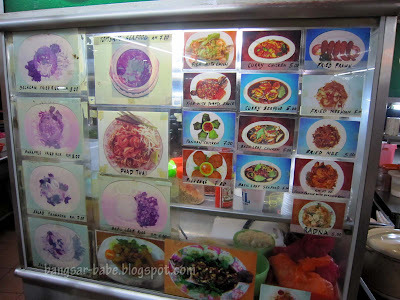 Just in Kopitiam but all the food look deceptively delicious. Can't wait to visit there.